If you or someone you know is gluten-free, Amazon has a super hot deal on Pamela’s gluten free bread mix, when you buy a large 25 lb. bag! 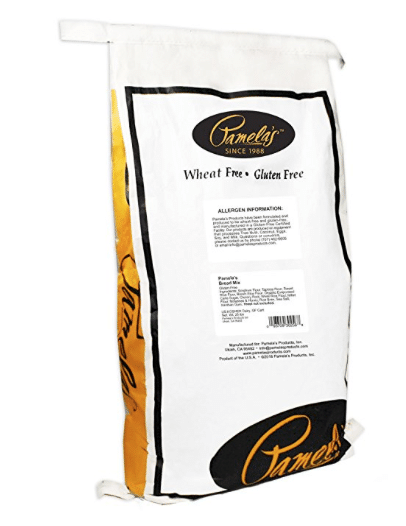 They currently have Pamela’s gluten free bread mix marked down to $50.82 for 25 lbs, so just $2.03 lb.! Even better, if you choose Subscribe and Save, you’ll save an extra 5-15% off, so as low as $43.20, so just $1.73 lb.! This is an amazing price for gluten free flour. The lowest I’ve seen for Pamela’s bread mix is $4 lb. Grab this deal quickly before the price goes up and spread the word! I’ve had to go gluten free for about 6 years. Pamela’s bread mix is by far the best. I’ve used it in a bread machine and loaf pans. It’s delicious and moist! Thanks for sharing! I love Pamela’s products!